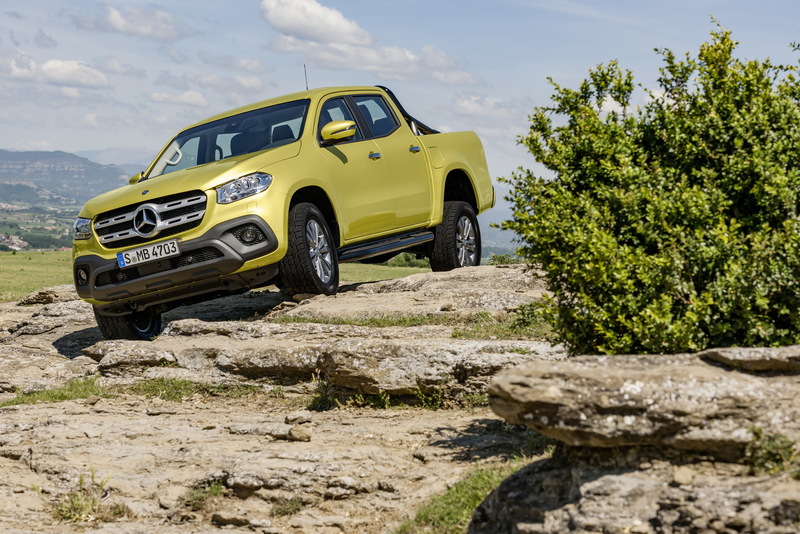 Mercedes made sure to cover all tastes and budgets with its Frankfurt lineup, bringing from F1-engined monsters to its first pickup truck on the show floor, the new X-Class. 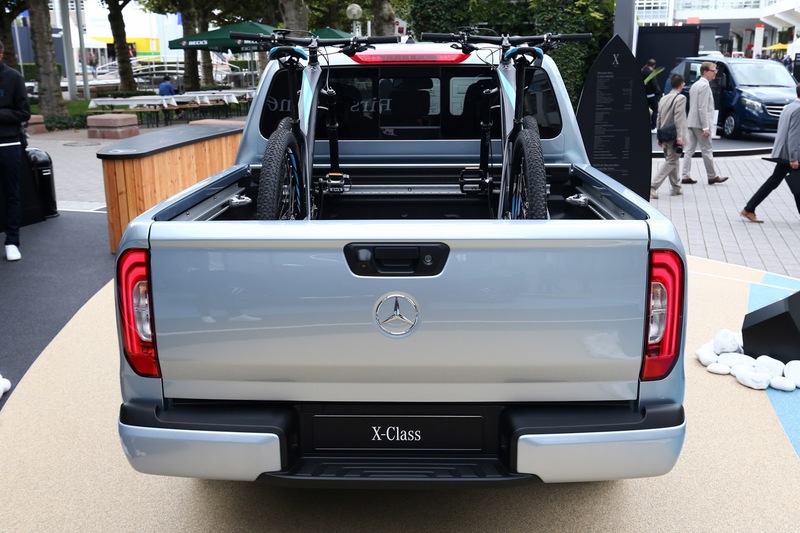 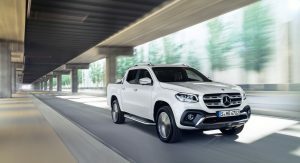 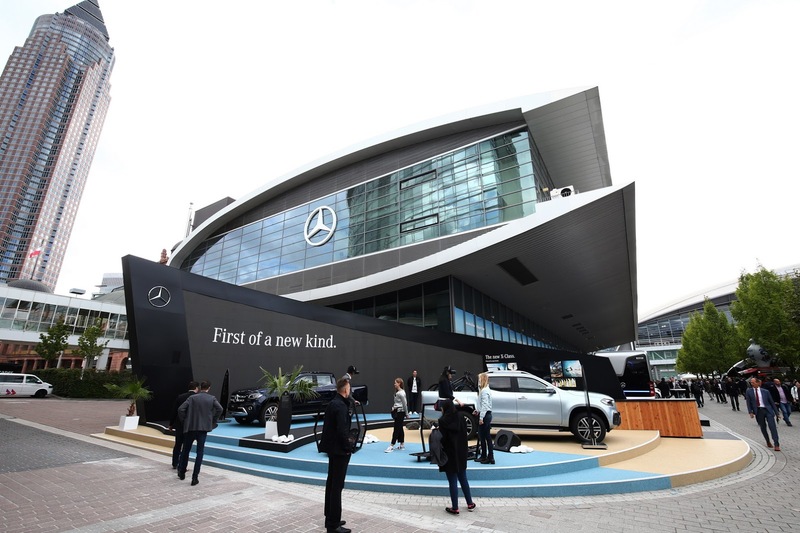 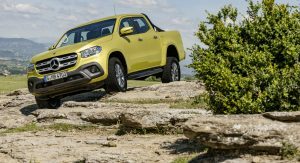 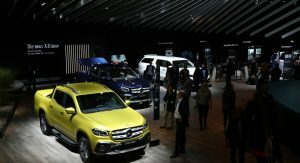 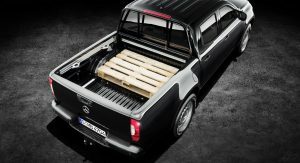 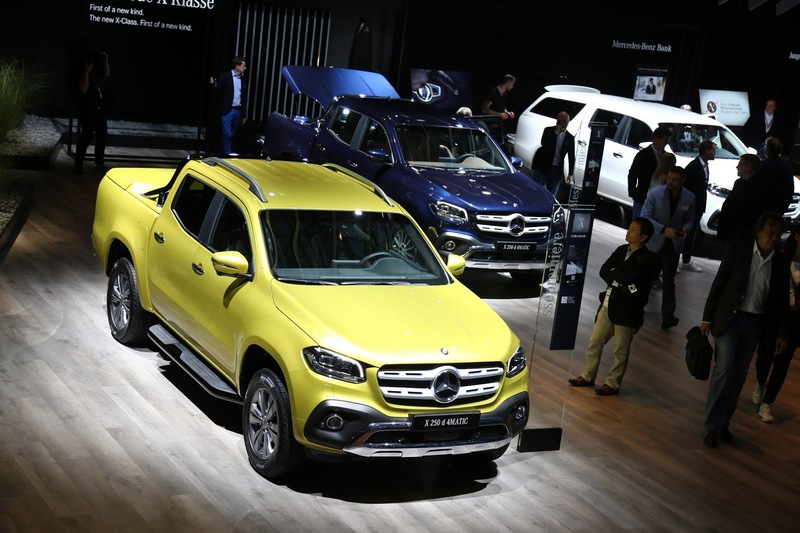 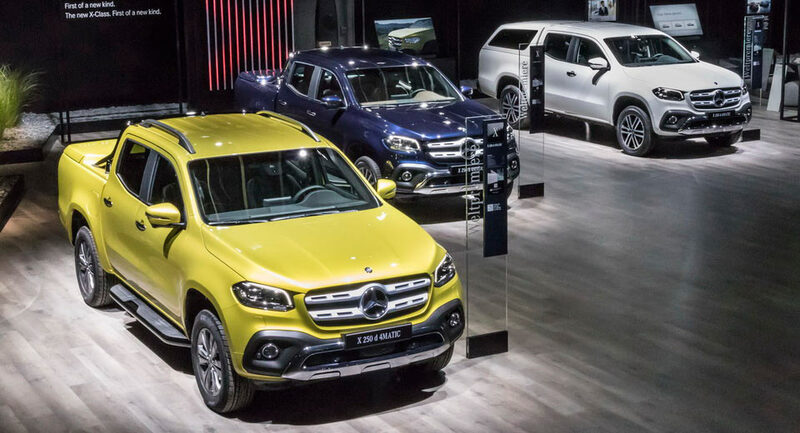 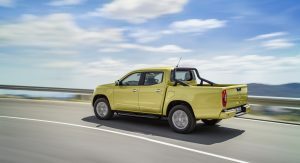 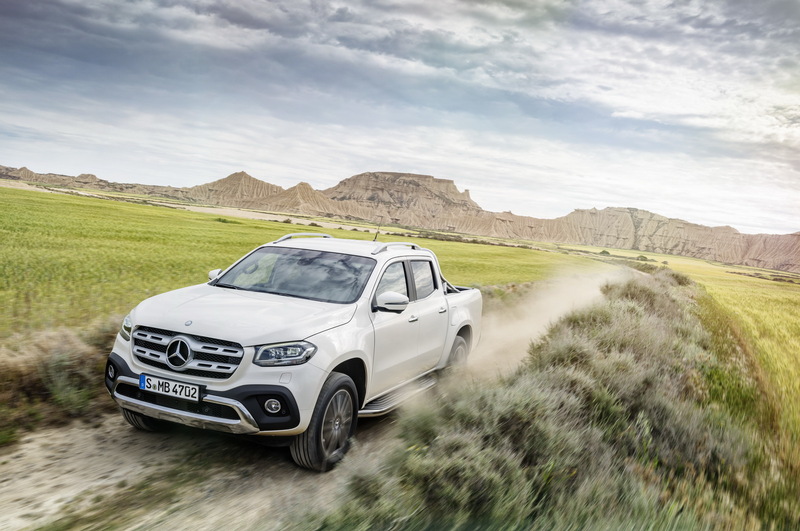 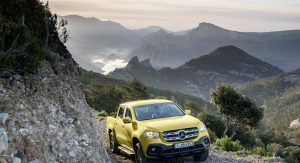 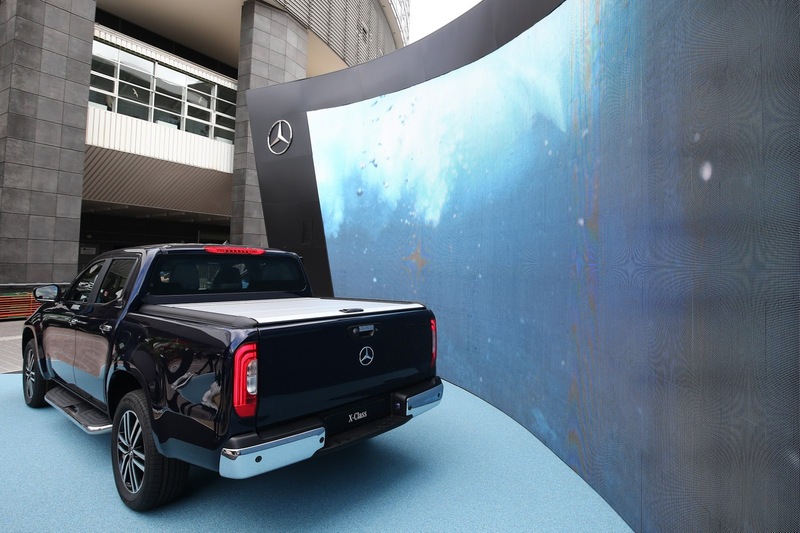 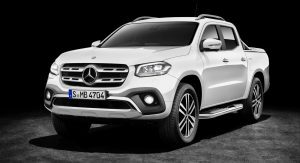 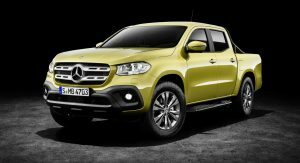 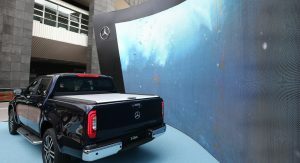 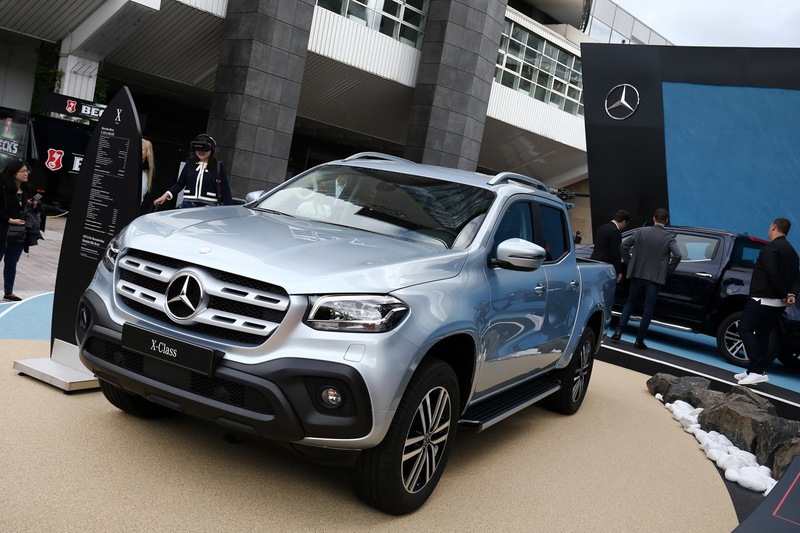 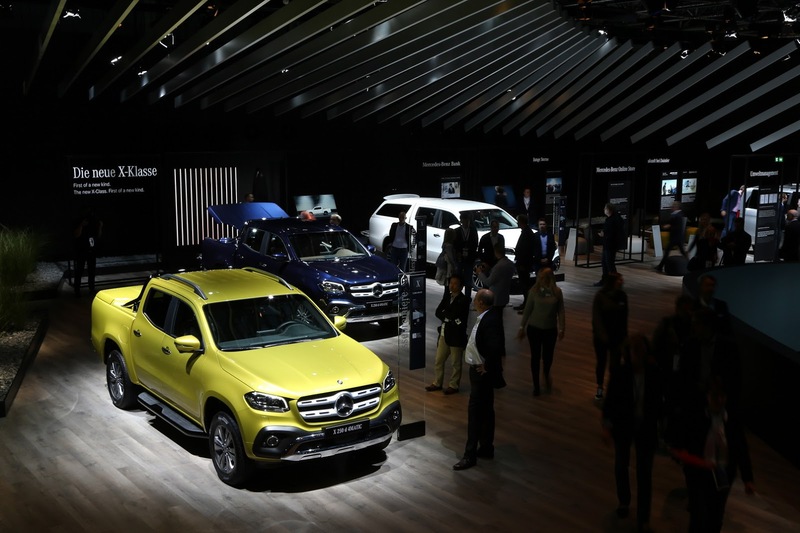 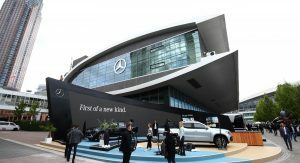 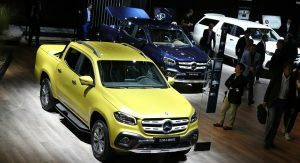 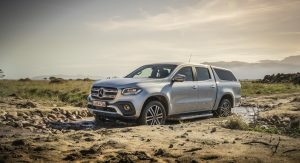 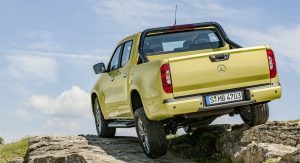 Two months before the official market launch, the new Mercedes X-Class celebrated its public premiere at Frankfurt as the first pickup truck created by a premium car maker, whatever that means. 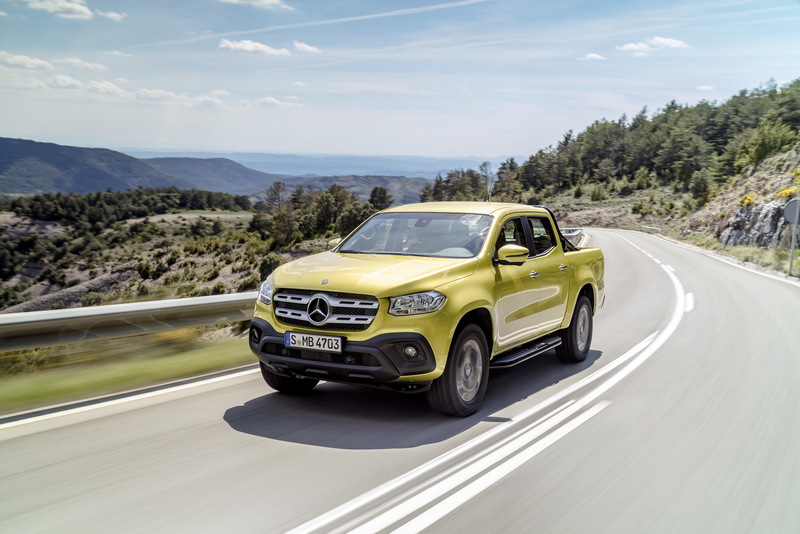 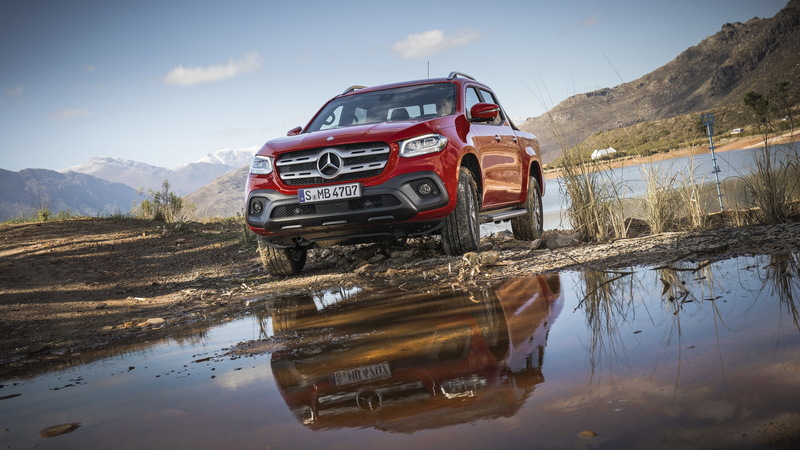 Mercedes has divided the X-Class range into three different configurations: Pure, which is the functional ‘workhorse’ version, Progressive, which adds extra styling and comfort bits and Power, which is the range-topping version aiming at those looking for a different lifestyle vehicle. 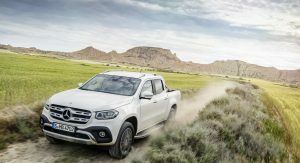 Despite the shared underpinnings with the Nissan Navara, Mercedes has done a good job of masking the similarities and adding a more premium feel to their pickup truck. 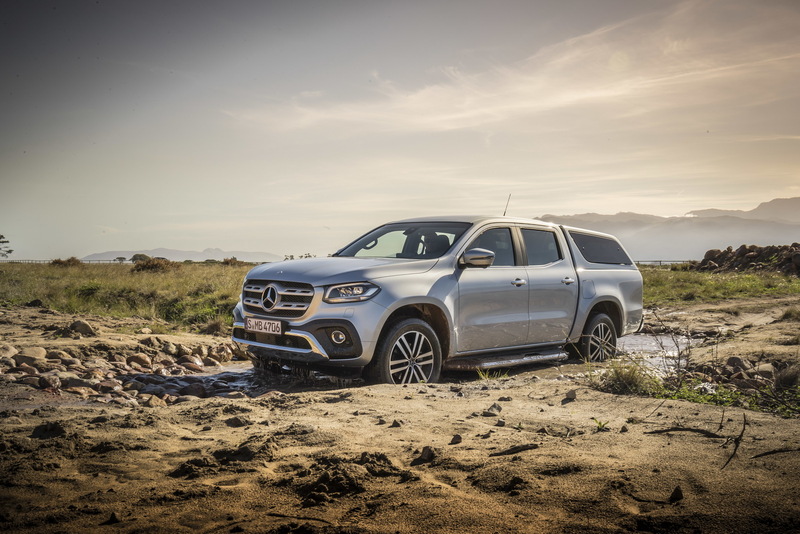 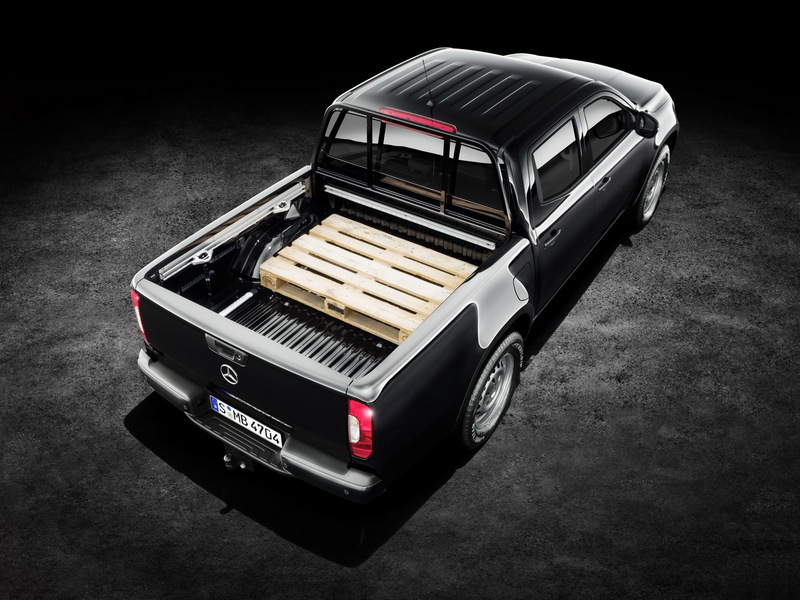 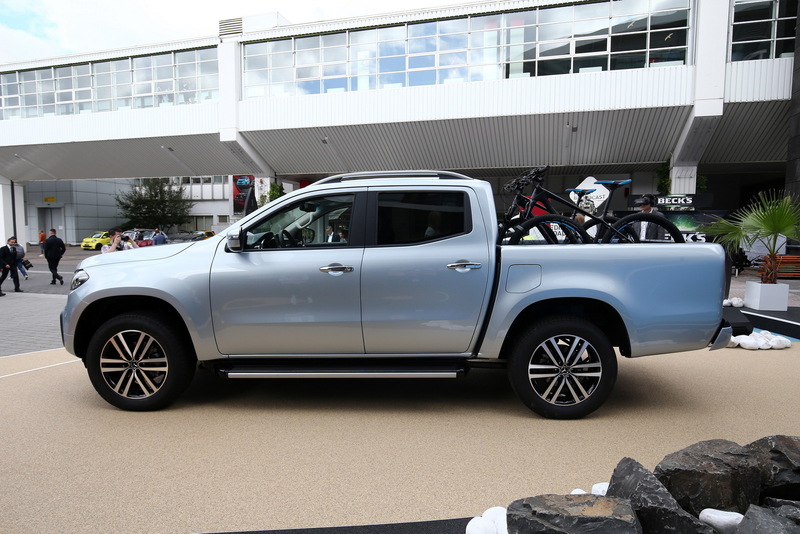 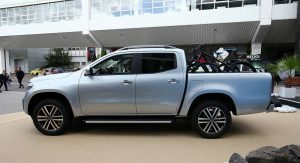 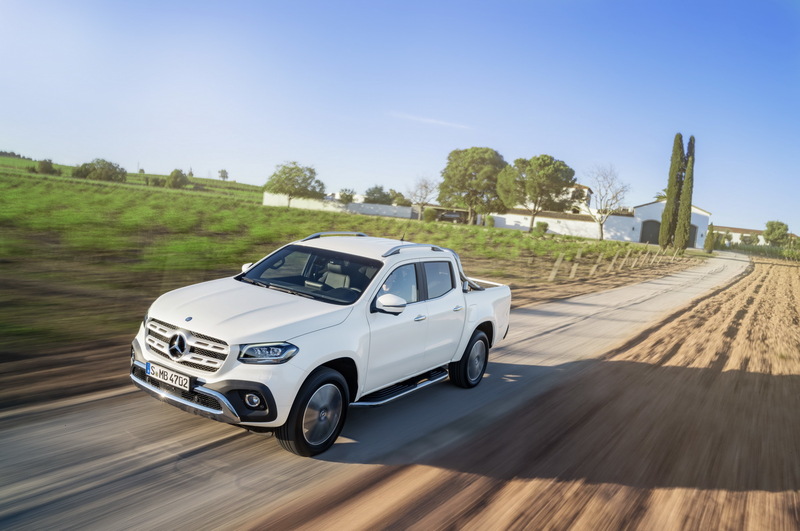 A payload of up to 1.1 tonnes and a towing ability of up to 3.5 tonnes also means that the new X-Class means business too. 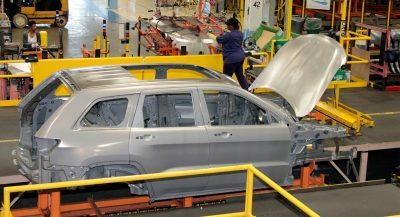 Entry-level X220 d models are powered by a 2.3-liter diesel engine with 163hp while the biturbo X250 d comes with 190hp. 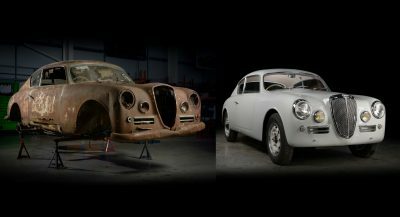 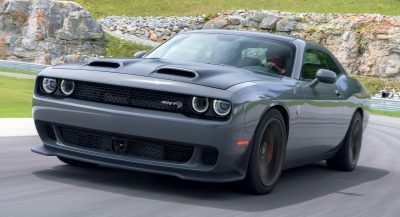 Rear-wheel versions are standard as is the six-speed manual gearbox, with all-wheel drive and a seven-speed automatic as options. 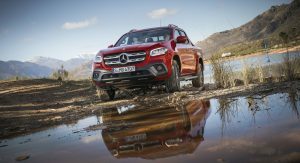 Mercedes is planning to add a range-topping X350 d V6 diesel model in mid-2018, offering 258hp and all-wheel drive as standard. 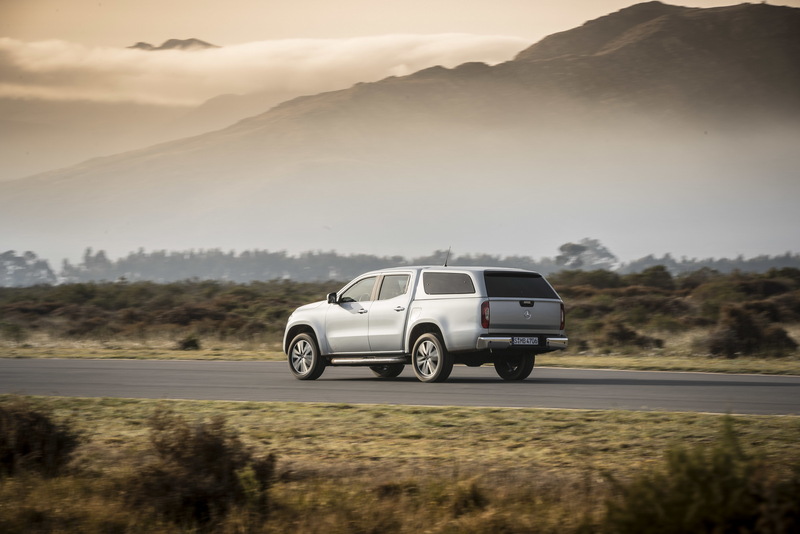 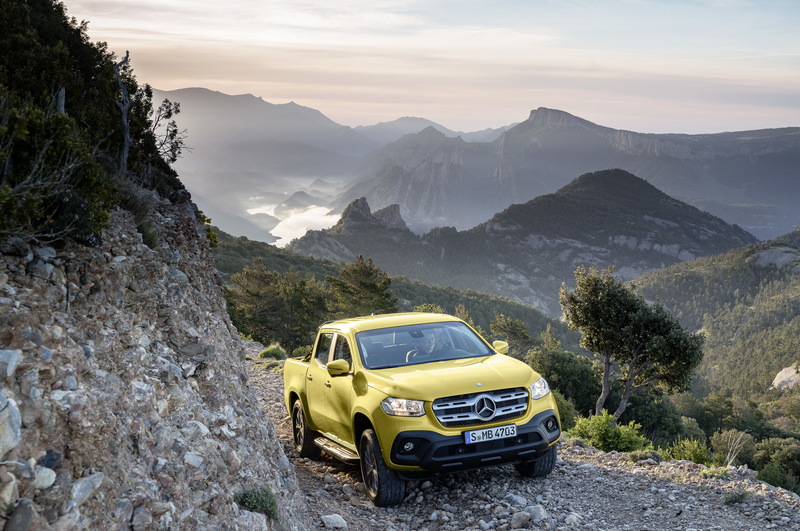 Euro-spec models come with the comfort suspension as standard, meaning a ground clearance of 202mm. 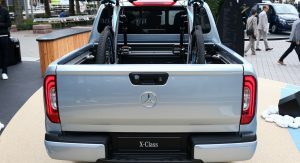 A 20mm higher suspension is also available as an option. 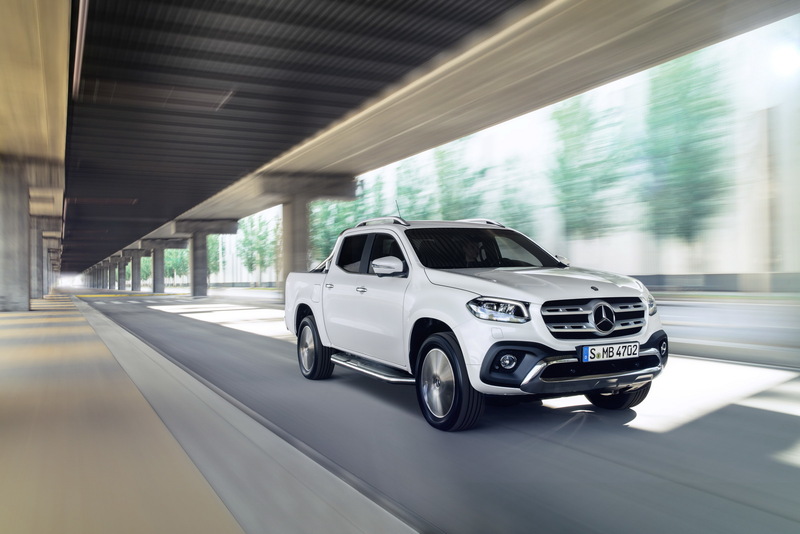 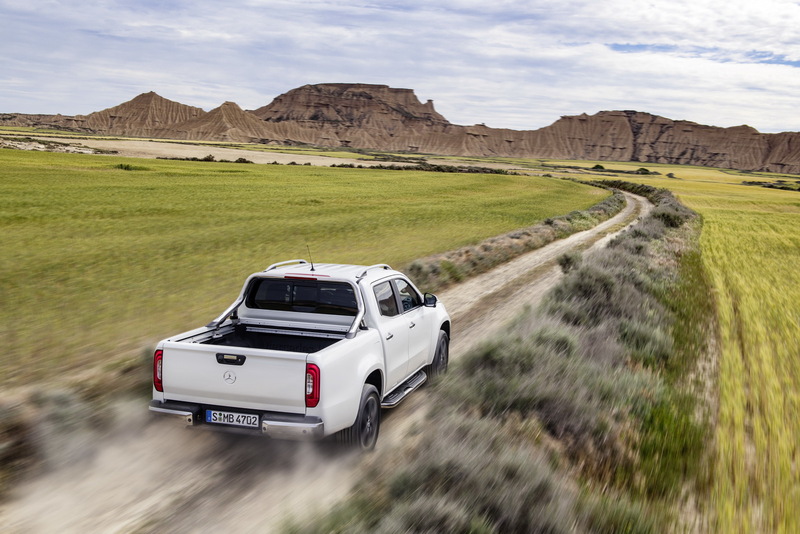 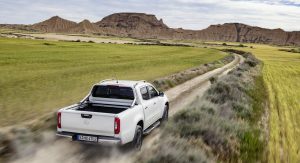 Inside the X-Class is the first mid-size pickup truck to come with an infotainment system that features an integrated SIM card, enabling it to use all of Mercedes’ connected services, including accessing the vehicle’s functions via a smartphone. 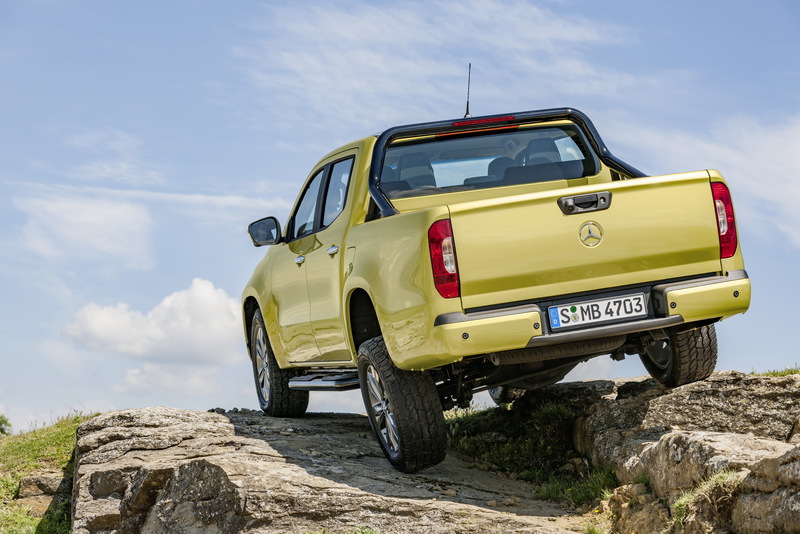 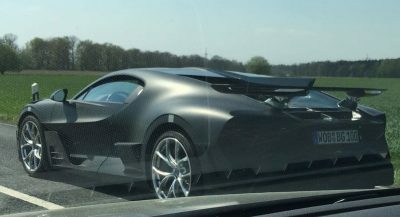 Mercedes has scheduled a European launch for this November. 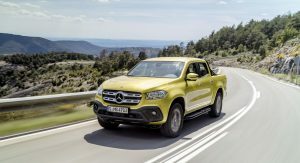 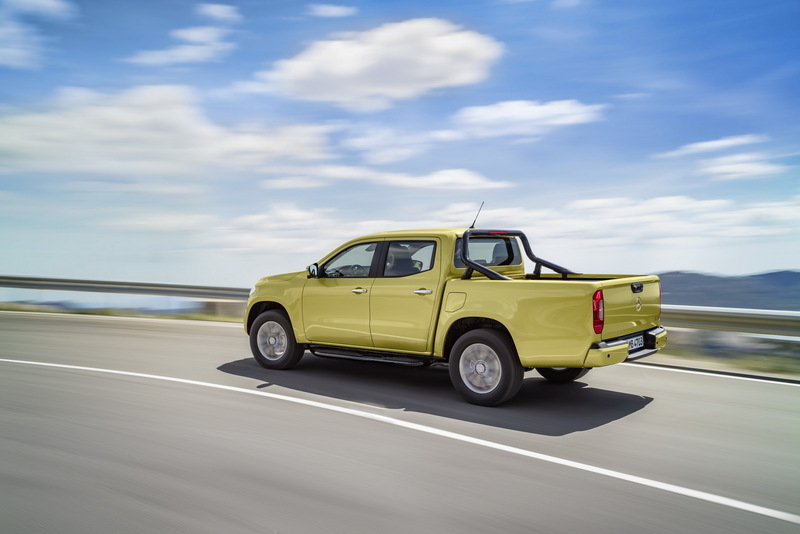 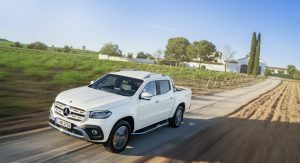 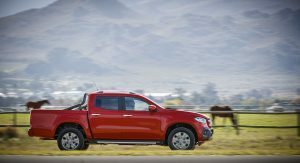 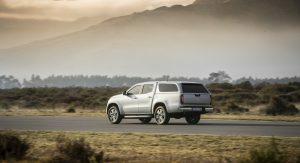 The new X-Class will be launched in South Africa, Australia and New Zealand in early 2018 while Argentina and Brazil will follow in early 2019. 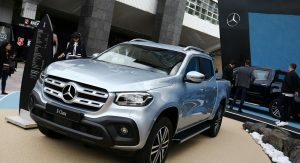 Prices in Germany start from €37,294 ($44,637 in current exchange rates). 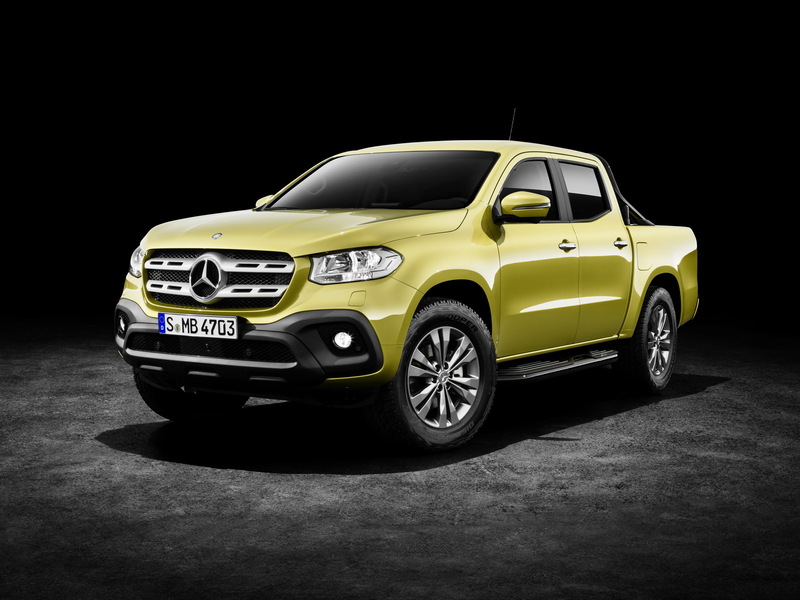 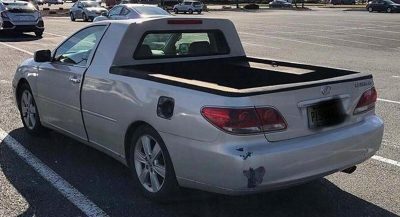 This looks worse than the Nissan Navara and Renault Alaskan, imo. 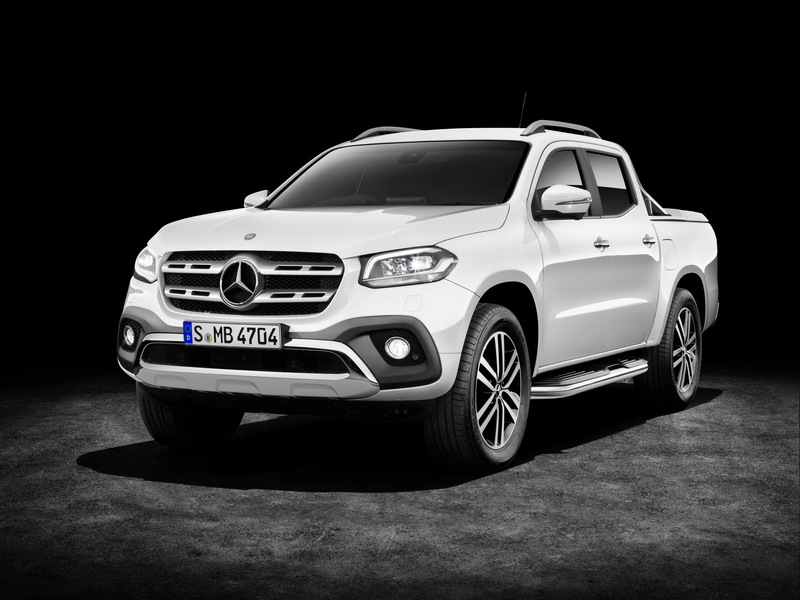 Even the concept model looked 10 times better.